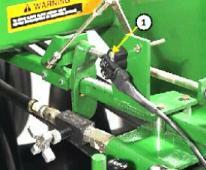 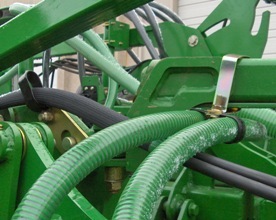 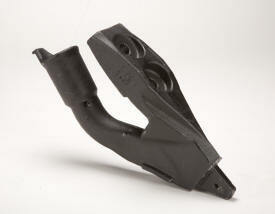 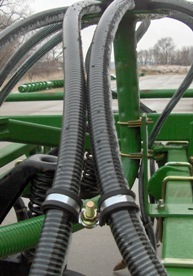 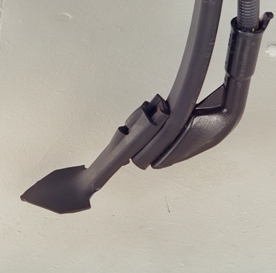 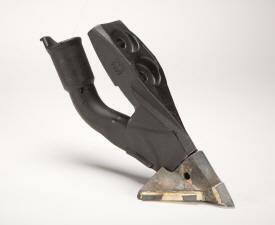 Pinched hydraulic hoses lead to costly downtime. 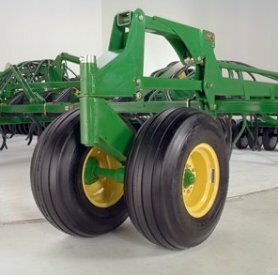 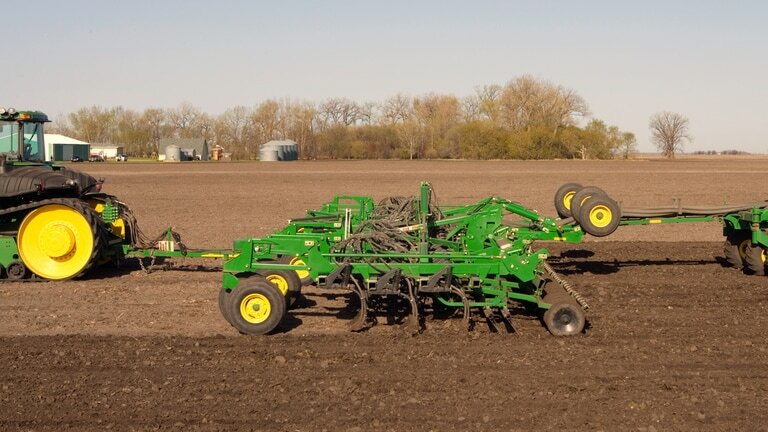 John Deere is aware producers expect machine reliability and a visually pleasing appearance when investing their hard-earned money in a new seeding tool. 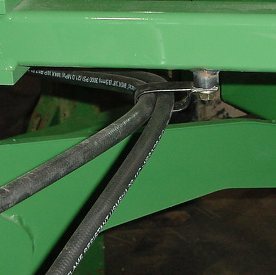 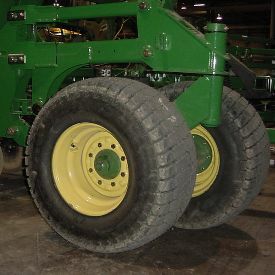 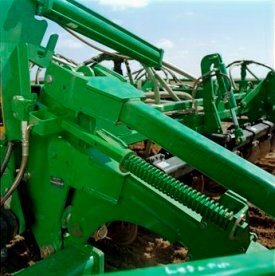 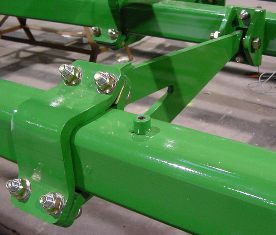 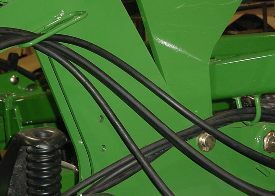 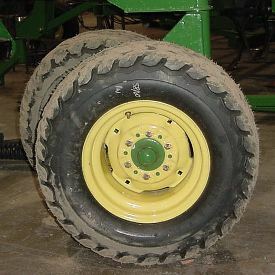 That's why the John Deere seeding group has placed extra emphasis on securely routing hydraulic hoses on the 1830 and 1835. 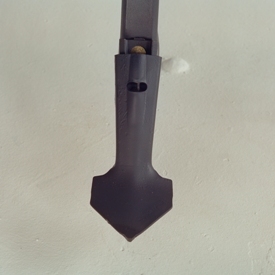 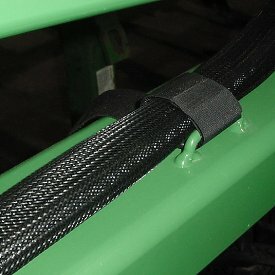 Innovative solutions like this Velcro® strap and protective sleeve ensure the reliability of the 1830 and 1835 measure up to John Deere standards. 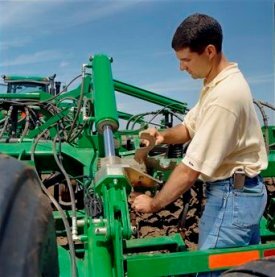 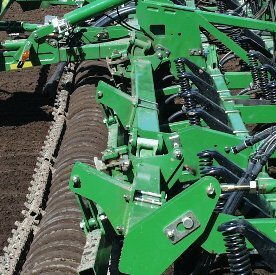 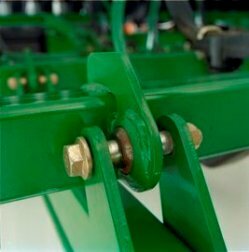 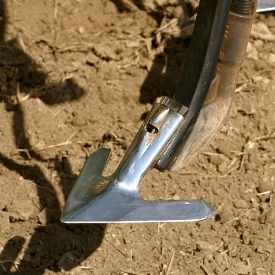 A machine-down repair that takes two hours to fix can mean over 20 ha of lost seeding time. 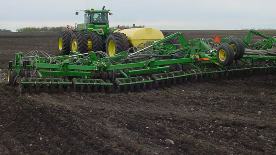 At a custom rate of $12 per hour, that's at least $600 of lost revenue, or lost yield, if seeding is delayed past mid May (wheat) for many locations. 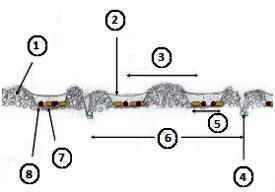 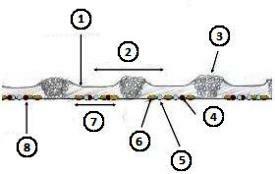 Velcro is a U.S.-registered trademark of Velcro Industries B.V.
Category 4, pin - 2 in.